The Elder Scrolls: Legends – Alliance War, inspired by the war of the alliances that rages on within Elder Scrolls Online, released today for The Elder Scrolls: Legends on PC. Players can now enter the all-out brawl between the five alliances that are vying for the Ruby Throne. Square Enix today announced that Octopath Traveler will make its debut to PC via Steam on June 7th. Saber Interactive and Focus Home Interactive have released the new launch trailer for World War Z. The co-op shooter inspired by Paramount Pictures’ film will be available on April 16th on PlayStation 4, Xbox One and PC via the Epic Games Store. 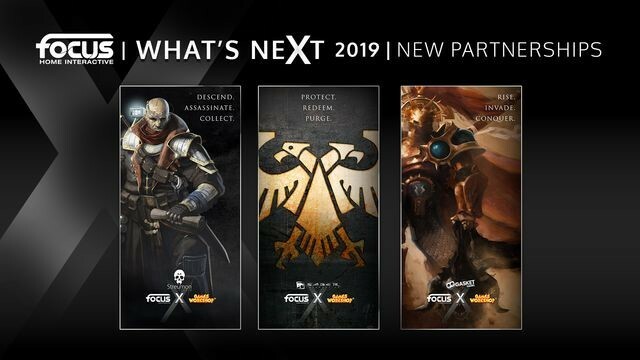 Focus Home Interactive today announced that its ongoing partnership with Games Workshop has been strengthened with the signing of multiple new titles across various IPs. Focus Home and Games Workshop will be working with developers at Saber Interactive, Gasket Games, and Streum On Studio across a wide range of genres and established franchises. 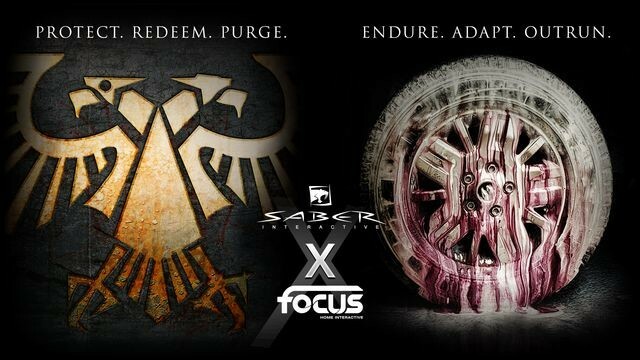 Along with MudRunner 2 releasing later this year, Focus Home Interactive announced that they are partnering once more with Saber Interactive (Halo: The Master Chief Collection, NBA 2K Playgrounds, Quake Champions) for the development of new projects, but also for the Nintendo Switch port of some important licenses. The first title developed by Saber will be a totally new IP focusing on co-op gameplay. Their second title may be the most ambitious project in the publisher’s history – a AAA-quality experience supported by one of the most important licenses in the Games Workshop universe. The studio will also be working on the port of some of the publisher’s flagship licenses onto Switch. Call of Cthulhu and Vampyr, two titles respectively developed on consoles and PC by Cyanide Studio and Dontnod Entertainment, will both be produced by Saber for a release on Nintendo Switch later this year. Today, Funcom and Petroglyph released a brand-new video that goes in-depth on the gameplay in Conan Unconquered, with key developers explaining how the game is played and just what it takes to withstand the invading hordes. The real-time survival strategy game will be available on May 30th for PC. Nintendo today announced that Nintendo Labo: VR Kit is now available exclusively for the Nintendo Switch at a SRP of $79.99 USD. 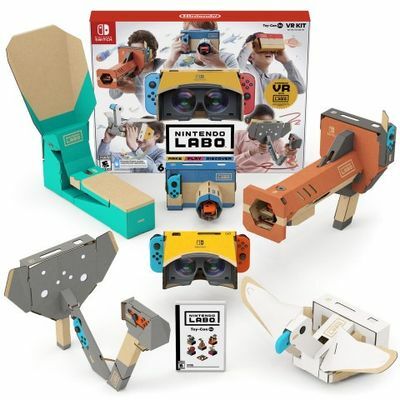 The Nintendo Labo: VR Kit includes the software and materials to build all six Toy-Con projects – the Toy-Con VR Goggles, Toy-Con Blaster, Toy-Con Camera, Toy-Con Bird, Toy-Con Wind Pedal and Toy-Con Elephant – as well as a Screen Holder and other accessories. Idea Factory International today announced that Super Neptunia RPG is headed for the PlayStation 4 and Nintendo Switch this Summer. As previously announced, the Steam release is also scheduled to release in Summer 2019. The PS4 release will have two slightly modified CGs. Gameplay for all platforms has not been changed from the original Japanese release.